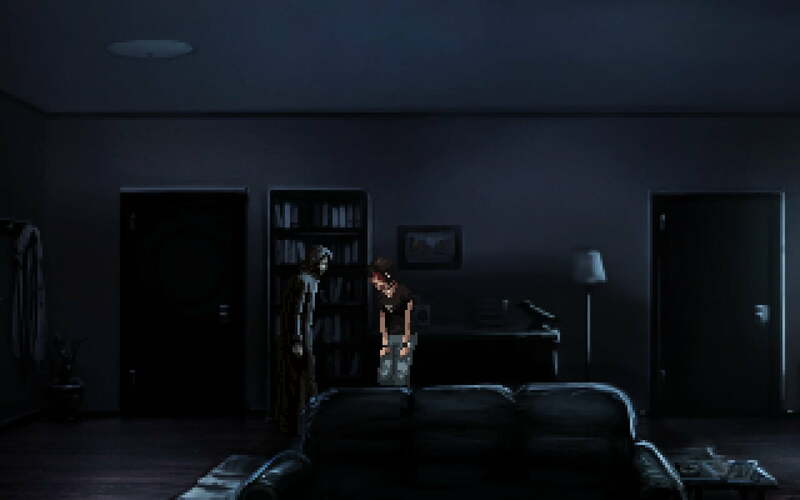 Very rarely does a point-and-click adventure game come along that’s as crisply designed and well written as The Charnel House Trilogy, but is it scary enough to satisfy horror fans? Read our full review to find out! 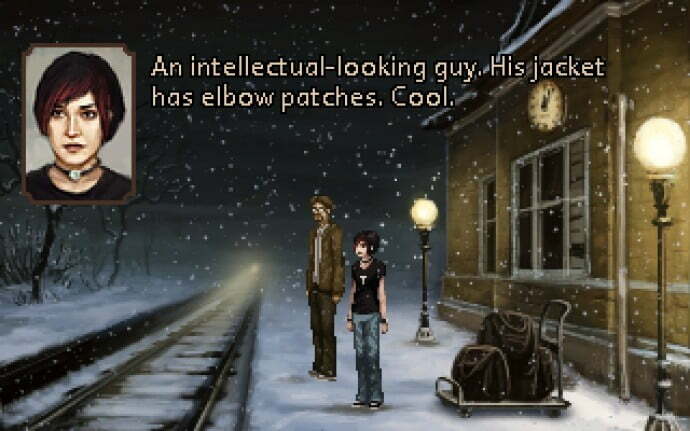 The Charnel House Trilogy, Owl Cave Games’ follow up to underrated snowpocalypse chiller Richard & Alice, doesn’t feel like a game. It’s an interactive story, one that’s intelligently told and presented with just the right amount of Gothic B-movie schlock, but it’s an experience that does away with an awful lot of the back-pedalling and twisted “logic” puzzles point-and-click adventure games are so infamous for. 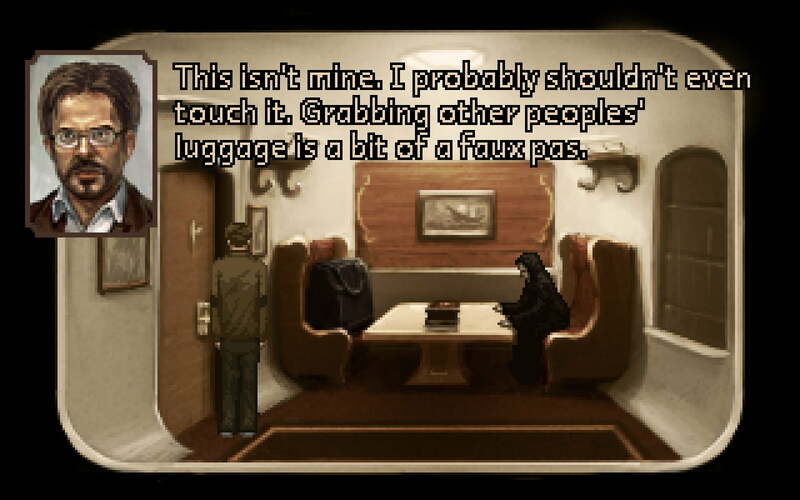 In relegating most of its “game-y” elements to the background, The Charnel House Trilogy lets its charming voice talents and sharp script take our focus, whilst still being a tale that could only be told as an interactive narrative. The Charnel House Trilogy’s (TCHT from here on out) first sequence, ‘Inhale’, begins in the apartment of one Alex Davenport, New York resident and angsty, punk-rock twenty-something. After breaking up with her boyfriend, Gavin, Alex has been going through some rough times, and is looking to leave the city to visit her best friend, Kat. Though it’s the weakest of the game’s three sequences, ‘Inhale’ offers up Ashton Raze’s sharp dialogue by the bucket load, and does a fine job of acquainting us with Alex, her world, and the troubles she has been (and will be) facing. Like Life Is Strange, ‘Inhale’ has an awkward habit of indulging in reference-mania, if one takes the time to explore and pick up the items around Alex’s apartment. There are meta-jokes about only buying Atlas Shrugged because of BioShock, Madeline Roux’s (who voices Alex) novel appearing on the bookshelf, and about how Alex narrates her actions in-game because she feels like she’s constantly being watched. Though they can be charming to hear play out, they come too thick and too fast for such a small slice of the game, and they aren’t overly missed once TCHT picks up the pace moving into sequence two. The game’s point-and-click puzzles are extremely light, which works entirely in its favour. There are only ever a few small rooms to explore at a time, and similarly few objects to pick up and combine. TCHT never asks you to buy into obscene adventure game logic either; the strangest thing it asks of you is to jimmy open a cabinet lock with the tail of a plastic dog, which comes near the outset of the game, and is rather tame by adventure game standards. This means that Raze is allowed to take the reigns with a disturbing, Gothic mystery steeped in classic horror iconography, without overly complex filler puzzles getting in the way of crucial, atmospheric moments. Things really pick up in the second and third sequences, as Alex sets off on her train journey and meets an ageing Professor Harold Lang. There’s instantly something off about the station, the passengers, the conductor, and the train itself. Every weird line of dialogue and dimly lit environment feels inhuman, ancient and deliciously uncanny, evoking a sense of true creeping horror rarely achieved in modern horror fiction. All great academics have their worth judged by how weathered their elbow patches are. Though TCHT is full of disturbing moments of grimy, human horror (all of which are too juicy for me to spoil here), it is in the quieter, more subtle moments that Owl Cave’s tale truly comes into its own. Harold and Alex’s encounters with Don the Conductor are always dark, comic and very unsettling, since they play around with both the character’s and player’s memories and perspectives. After Alex addresses Don by name, he points out that he never told her his name, so she must have heard it from “a little bird”. Quite frankly, I couldn’t remember if he had told me his name either. Everything is bolstered admirably by the game’s talented (if bizarre) voice cast – Roux and Peter Willington (the voice of Harold) are solid leads, both of whom are able to take wacky asides, loud, swear-y monologues and genuine moments of fear, and really run with them. Jim Sterling channels his inner Les Dennis, piling on cheesy goofiness and wild-eyed insanity in equal measure for the role of unforgettably creepy next door neighbour Robert Crowe. Unfortunately, a couple of actors clearly didn’t have the luxury of expensive microphones, and their tinny lines can really cut through the tension, despite being well delivered. Similarly, TCHT is home to many of the unimpressive Free Sounds audio clips that troubled Richard & Alice. These issues are small, never glaring, but some tighter sound design would have worked wonders in tandem with some strong voice acting cast and Bryan Henderson’s creeping score. It’s also worth questioning why a game set entirely in New York contains so few american voices. Owl Cave Games is based in England, but it still feels weird to have a New York occupied by English professors and ballerinas, Scottish train conductors, and even a Scottish newscaster. Hell, even Alex’s next door neighbour sounds like he’s from Leeds. He’s right. Especially when the bag’s owner is Emperor Palpatine. Some might take issue with the game’s length, but I would point to TCHT as a perfect example of a game not outstaying its welcome. It does exactly what it needs to craft a gruesome mystery tale, and never wastes your time with filler puzzles or unnecessary dialogue exchanges. Everything feels like it was put there for a reason, meticulously edited to create a horror story as charming and affecting as modern classics like The Babadook and It Follows. There are missteps, sure – at one point Alex spouts an overly long and somewhat self-indulgent monologue whilst staring out of a rain spattered window. It feels a little cheesy and entirely antithetical to the rest of the game’s show-don’t-tell, blink and you’ll miss it approach towards storytelling, but it only happens once and doesn’t render what follows any less frightening or effective. Ultimately though, TCHT is a confident, lingering horror tale, one that weaves it pulpy fiction expertly through light puzzle elements. It works so well because it constantly forces you to question what’s going on, who are these people, where really are we, and why are there worms everywhere? Its tone ricochets madly between cheeky jokes and chilling gore horror, but in an utterly satisfying way. Strange, often silly, but always atmospheric gem, and about the closest thing we’ve had to Beneath A Steel Sky in a very long time. Though not without its writing misfires, The Charnel House Trilogy boasts a strong, pulpy horror script, as well as a surprisingly accomplished cast. This is confident, witty Gothic horror at its best, equally accomplished at slowly drip-feeding terror through madcap character moments as it is with shocking scenes of body horror and grungey nastiness.